A Farewell to Arms was published to critical acclaim. The book quickly became a best-seller and it remains a popular portrait of World War I. However, Hemingway’s classic novel is so much more than a war story. It also contains timeless themes of love and tragedy. Brief Synopsis of the Plot The plot of A Farewell to Arms is centered around the main character, Frederic Henry, a lieutenant in the Italian Army ambulance corps. 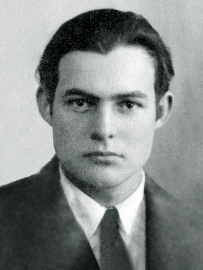 Given Hemingway’s own history in that profession, it is believed that at least some elements of the novel are inspired by his own personal experiences. As a paramedic, Henry’s time at the warfront is cut short by a significant injury. Yet, that injury also allows him the opportunity to grow close to his love interest, Catherine Barkley, while he recovers at hospital. The two form a relationship that is wrought with challenges from the war, and life in general. Although primarily thought of as a book about the toils of war, Hemingway’s book is simultaneously a romance novel with some painful twists that make it a tragic read. A focused reading reveals the following themes and imagery that highlight the complexity of the characters and the overall plot: Relevant Themes in the Text Literary scholars have long analyzed Hemingway’s great work, A Farewell to Arms for relevant themes and images that would provide deeper meanings to the story. A modern reading can reveal those same elements against the current context. You may find these themes seem not so different from what you might see in your other favorite books, as well as in your favorite songs, television shows, and films. War-What is it Good For? That old song may have had it just about right—what is war good for? Absolutely nothing. Or at least very little, according to Hemingway. In A Farewell to Arms, the characters see very little value in the war effort. Their participation is not met with feelings of honor, but rather with feelings of fear and a belief that their time (and lives, in some cases) have been wasted. It is this aspect of the book that most lends itself to the title. When Hemingway’s characters are saying their farewells to arms (aka war), it is because they see it as only bringing pain and suffering. It is really a cautionary tale—give up this approach or face greater loses for humanity. As it has been said, Hemingway’s novel is generally considered a portrait of war. However, it is also secretly a tragic romance novel, not unlike many that were so popular in the past and still so popular today. The romantic aspects of the book do bring much of the drama to the story. When Henry is injured, it provides him with the opportunity to fall in love. The only problem is, his love interest is fresh off a previous relationship, in which her fiancé died. She is quick to run into Henry’s arms, but seemingly as an escape from her pain and grief. Sadly, that impulsive and poorly thought out choice is only met with greater and greater challenges as the story unfolds. Yet, the rain is not just a portent foreshadowing doom and gloom, it also does serve to wash away the fantasies that the characters illusion themselves with. When the rain goes away (and the sun does not really emerge), the characters are left with only a stark and harsh reality.